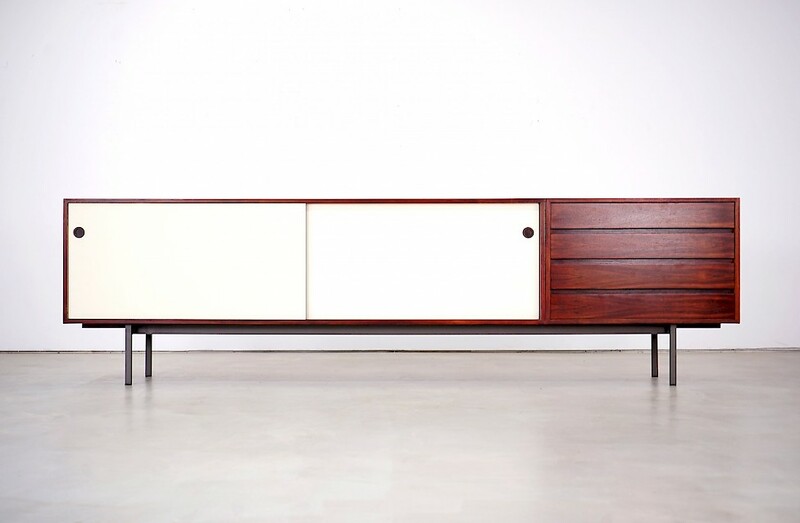 This spacious sideboard was designed by Walter Wirz and manufactured by Wilhelm Renz in Germany in the 1960s. It has a steel frame, beautiful texture and reversible sliding doors either made of wood or coated with formica. One of the four existing drawers houses an insert for cutlery.